LunaCap Ventures provides venture debt financing to early stage companies with Military, Women and Minority (MWM) founders and leadership. We are a New York based impact investment fund established in 2014 with a team of serial entrepreneurs, experienced investors and hands-on operators. LunaCap Ventures is built on the principle that providing capital to exceptional leaders who ordinarily would not have access to funding can build a better world. LunaCap Ventures takes a fundamentals approach to investing. We invest $100K - $1M in companies with strong cash flow. We participate in Seed, Series A, Series B and Bridge rounds of financing for companies seeking growth capital, refinancing, acquisition financing, and inventory financing. As a Venture Debt fund, our investment is structured as senior and subordinated debt with a 12-22% interest rate over a 3-5 year term and 1-10% in warrants. Mr. Capon graduated from the United States Air Force Academy in 2006 with a BS in Management, and received his commission as a 2nd Lieutenant in the United States Air Force. Mr. Capon served as a logistics officer based out of Vandenberg Air Force Base, California, and RAF Mildenhall, United Kingdom. During his time in service, he completed two tours in Afghanistan. Based in Kandahar, he was in charge of logistical operations for NATO construction projects throughout Afghanistan. During his second tour, Mr. Capon deployed to Kabul where he served as convoy commander for over 120 convoys and then as a Commander of an embedded training team (ETT). Paul�s ETT was responsible for training and aiding the Afghanistan National Police in the development of their national logistics infrastructure. In 2011, Mr. Capon left the Air Force as a Captain and received an MBA from a joint London Business School and Columbia Business School Program in 2013. While attending business school, Mr. Capon focused on finance and operations of both distressed and start-up companies. Upon graduation Paul worked in the restructuring industry for Capstone. 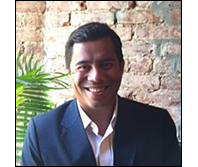 In 2014, Mr. Capon founded LunaCap Ventures, a Venture Capital firm focused on hybrid growth capital investing. He has since led and executed a number of investments for LunaCap and distributed capital to LP�s within the first year. Additionally, he negotiated the sale of a $6MM revenue company, appointed their new COO, and guided the company through a role-up strategy. He is currently the CEO of Wessex Press (a LunaCap Ventures portfolio company) where in his first two years he increased the company's revenue, previously flat for 7 years, by more than 3X and made the Company profitable. Mr. Capon is a founding member of the New York City Military Officers Club, and also sits on the advisory boards of Comply First and the Joint Service Academy Network. He remains active in the United States Air Force as a reserve Officer. Ovenly At Ovenly, we adventurously explore culinary traditions with an unexpected twist, thoughtfully melding sweet and savory with a touch of spice. Known for our innovative flavor combinations (think currant-rosemary scones or black caraway-chocolate shortbread), you can find the full array of our unique treats at our flagship located at 31 Greenpoint Ave, Brooklyn, at our shop in UrbanSpace Vanderbilt, or at one of our many locations or contact us to fill all of your wholesale, catering, wedding and sweet-tooth needs. Wessex Wessex textbooks and instructor materials embrace new technology. We link the written word to learning materials -- audio files, documents, videos -- via the Internet, using the proprietary Axcess Capon code system. And we are the first textbook publisher globally to launch a range of video books. ComplyFirst One of a company's largest operating expenses is its workforce and nothing can affect the bottom line more drastically than their employee�s health and wellbeing. That's why our mission is to ensure that companies have the tools and resources that best fit their specific needs in order to effectively manage operating costs, safety and compliance. Down The Road Beer Down The Road Beer Co. made its first official mark on the Metro Boston Craft Beer market with the launch of its signature Pukwudgie Pale Ale in April 2015. Down The Road Beer Co. brings a uniqueness to the Craft Beer market by bucking the trend to create the next craziest innovation. Instead, we focus on crafting high quality FRESH beer, LOCALLY brewed in MA and INSPIRED by traditional brewing techniques and styles. Down The Road beers are currently sold throughout eastern MA including on Cape Cod. The company has already sold its beer in 700 retail stores, bars and restaurants and plans to open a taproom and brewery in Everett, MA in early 2017.